Road riding continues to be one of the most popular forms of bike riding. Road bikes make it easy to ride long distances and many riders enjoy being able to walk out their front door and go for a ride without having to drive to a trail. 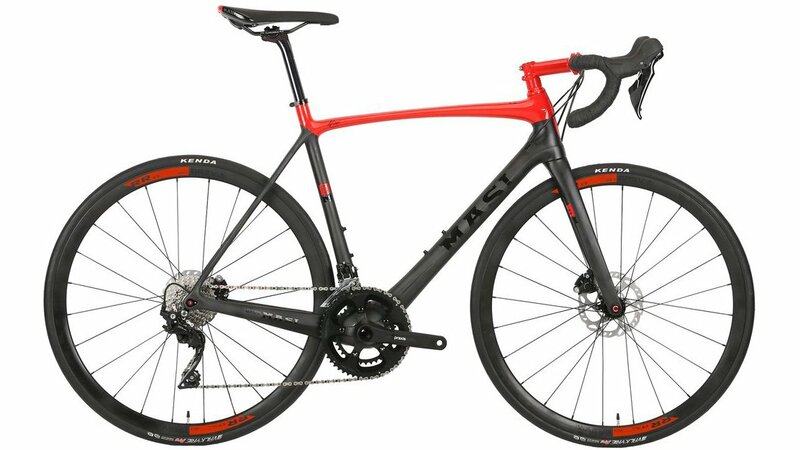 The Masi Evoluzione 105 Bike is a carbon-framed road bike that is race tuned and has race geometry. The frame uses flat-mount disc brakes and has thru-axles for better handling and a stiffer ride. This version of the Masi Evoluzione has a Shimano 105 R7000 drivetrain. This includes the shifters, rear derailleur, front derailleur, and cassette. It has an 11-30-tooth gear range on the cassette and uses a mid-compact 52/36-tooth crankset making this bike well-balanced for riding all over. The Shimano 105 R7000 hydraulic disc brakes provide confidence-inspiring stopping power needed for long descents and racing. The Brev M. wheels and Kenda Valkyrie Pro tires are both tubeless ready so you can set them up for lower pressures for a smoother ride and fewer pinch flats. 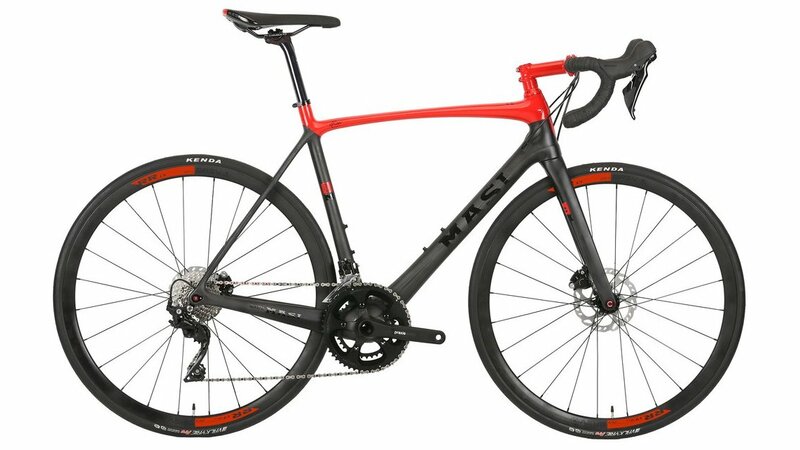 If you're looking for a bike to help take you to that podium, or a bike that will help take you for that century ride, then you'll love the Masi Evoluzione 105 Bike. 180 - 190 cm 6'2" - 6'6"